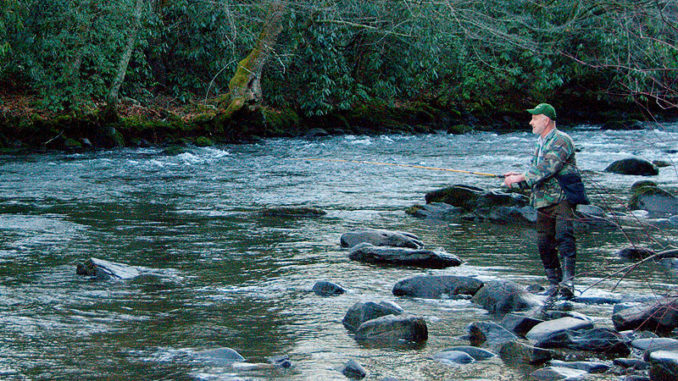 Yes, it’s cold in the winter in places in the Carolinas where trout are commonly caught, but don’t let that keep you off the stream. Too often, trout fishers fall into a comfortable pattern of fishing the same streams over and over because they know where fish are likely to be. Western North Carolina, South Carolina’s Upstate and the Great Smoky Mountains National Park have hundreds of miles of trout streams, more creeks and rivers than you could fish in a lifetime. Additionally, the Cherokee Indian Reservation has more than 30 miles of streams open to public fishing on the Oconaluftee River, Raven Fork, Bunches and Soco creeks, plus three ponds in the Big Cove area. A two-mile section of the Oconaluftee River in Big Cove is designated as trophy trout waters and limited to catch-and-release fly fishing. Only a tribal permit ($10 per day) is required to fish Enterprise Waters, but a separate permit is required for the trophy waters. Fishing is open year-round on trophy waters. Enterprise Waters close on the last day in February and reopen the last Saturday in March. Wild trout streams are open to fishing year-round in the Great Smoky Mountains Park, in western North Carolina, and South Carolina’s Upstate. With a few exceptions, fishing is limited to artificial lures with a single hook. 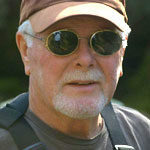 Creel limits are four per day in North Carolina, five per day in South Carolina, and five per day in the park. Either a North Carolina or Tennessee state fishing license is required for fishing streams in the park. The Blue Ridge Parkway’s 100 miles of streams offer both wild and hatchery-supported trout fishing, the latter managed by the N.C. Wildlife Resources Commission. Only a state fishing license is required to fish parkway streams. Stone Mountain State Park in Alleghany County has two streams designated as “just for fun” fishing streams: Bullhead and Rich Mountain creeks. Fishers buy a permit that gives them exclusive access to designated portions of the streams. Most of the fish in Bullhead are trophy size, and some measure more than 30 inches. In South Carolina, most streams have a split season, with fishing limited to catch-and-release from Nov. 1 through May 14. On May 15, streams, with a few exceptions, open to catch-and-keep fishing, most with no bait or lure restrictions. The majority of South Carolina’s trout streams are in Oconee, Pickens and Greenville counties. Tailwaters of Lakes Hartwell and Murray also are open to trout fishing. The S.C. Department of Natural Resources has an excellent online trout-fishing guide (www.dnr.sc,gov/fish/pdf/TroutBook.pdf) with maps, stream listings and other useful information. Stream regulations are also available online at (www.dnr.sc.gov/regulations). North Carolina trout-fishing information, maps, stocking schedules and regulations are available at www.ncwildlife.org. The site includes a down-loadable map showing locations of trout waters. January and February traditionally are the coldest months in the southern Appalachians, and if the forecasts are accurate, the mountains will have an abundance of snow. The good news is that January and February always have a few warm, sunny days suitable for trout fishing, and those warm, sunny days produce hatches. The bonus of winter fishing is that streams are less crowded. As for the trout, they must eat regardless of the weather. It just takes more work to catch them. Brown, black, and gray nymphs get the best results in cold weather. Use bead-heads or lead to get nymphs to the bottom where trout are most likely to be holding. Trout will hit dry flies any time of year if conditions are favorable, but nymphs are much more effective and consistent. Suggested patterns are: Blue-Winged olive (Nos. 18-20), black or white Trico (Nos. 18-20), and gray Midge (Nos. 18-20) for dry-fly fishing. Recommended nymph patterns are Zug Bug (Nos. 10-12), Hare’s Ear (Nos. 10-12), Secret Weapon (No. 10), Brown Stone (Nos. 8-10), Prince (Nos. 10-12), and My Pet (No. 10).